microVISC™ and m-VROC™ are both small sample viscometers capable of improving your viscosity measurements for RNA Therapeutics. RNA therapeutics is the future of high-impact drug development, and is considered to be on the cutting-edge of research. The goal of RNA therapies is to target the long-chain nucleotides in ribonucleic acids within cells. This method has advantages over small and large molecule compound therapies that are often used in protein therapeutics, because of the critical role RNA therapy plays in cellular activity. In fact, RNA therapeutics can be combined with existing therapies to address cancer, cardiovascular discorders, and autoimmune diseases. RNA Therapies are designed to target the over-production of disease-causing proteins. The approach to developing advanced cures requires the use of innovative measurement methods to understand the behavior of new compounds, especially when it comes to designing delivery systems. Accurate, fast viscosity measurement is necessary when it comes to determining and optimizing the delivery system of protein solutions. Because drug efficacy often requires heavy protein loading, which impacts viscosity, it's important to be able to measure highly concentrated samples accurately. Accurate, repeatable viscosity measurement helps researchers determine the best delivery method for the solution. Learn more on how viscosity plays a key role in injectability! In early stages of research, samples can be very expensive and limited in volume. It is important to have a viscometer that requires the smallest sample possible. 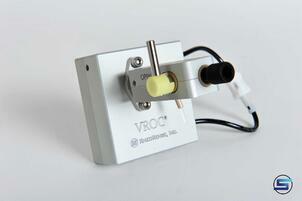 RheoSense viscometers, powered by VROC® technology, only need a sample of 20 µL. 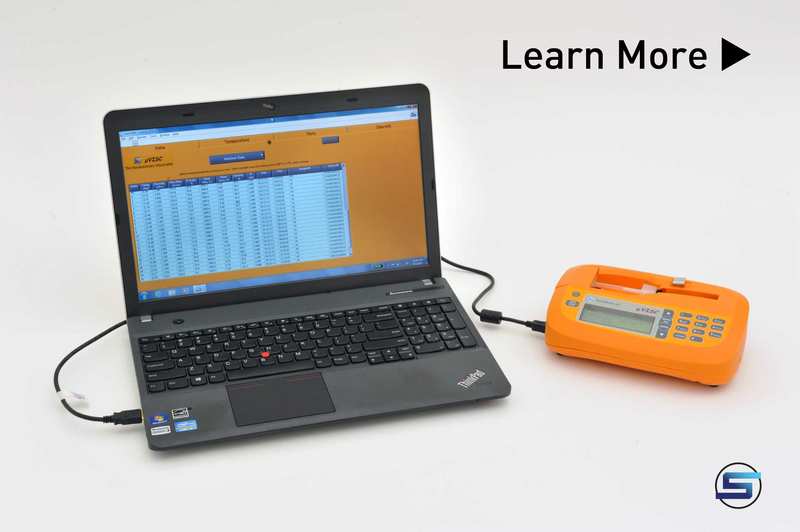 With fast, accurate measurements, researchers can run tens of samples each day. In addition, a majority of the sample can be recovered so it can be used for further analysis. RheoSense Viscometers are the best small volume viscometer/rheometers offered on the market when it comes to taking viscosity measurements on expensive samples which are available in limited volumes. Exposure to air can negatively impact the accuracy of viscosity measurements. To eliminate this serious issue, RheoSense viscometers, powered by VROC®, have been designed to significantly reduce the chance of sample contamination. Protein aggregation and precipitation can exist at the liquid-air interface, which can negatively impact the accuracy of viscosity measurements. To avoid this, the sample is introduced into the sealed measuring cell of a VROC® using a syringe, so the sample is never exposed to air. VROC® viscometer eliminates contamination and sample oxidation, as well as the formation of foams and surface films. 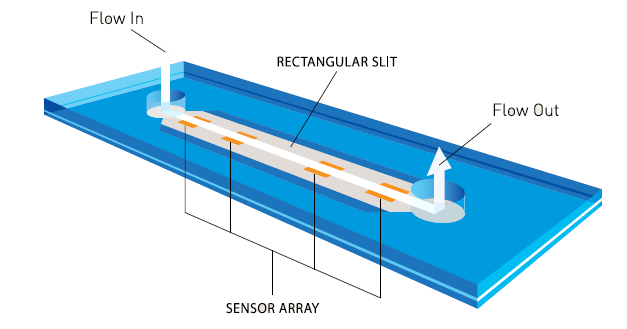 With an innovative, rectangular slit method of viscosity measurement, VROC® combines MEMS and microfluidic technologies to deliver data with the highest accuracy and repeatability without all the geometric corrections required for cone and plate viscometers. For more information, visit our VROC® technology overview!